Sleeping Bear Press, 9781585361830, 144pp. But Stella has just one problem----her name. A boy from her class keeps calling her "SMELLA" after she trips on their class nature walk ("I don't even want to say what I landed in, it was too gross, so I'm going to leave out that part"). 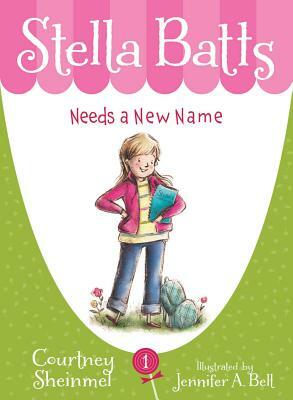 So Stella decides there's really only one thing to do: she has to change her name. After all, how hard can it be to pick a new name? But it's not as easy as it sounds. In this early chapter book series, the ups and downs of Stella's life are charmingly chronicled.